Ferrari Academy and European Formula 3 driver Guan Yu Zhou will compete for the new UNI-Virtuosi Formula 2 team in 2019, according to Motorsport.com. The Chinese driver took eighth in his second season in European F3 with Prema Racing, taking two victories and six podiums with the squad this year. Now he will make the step up to F2 with UNI-Virtuosi, which takes Russian Time's entry and cars, but the majority of the staff will remain the same as Virtuosi ran Russian Time for four seasons. Zhou joined the team alongside Luca Ghiotto in the F2 post-season test last week, and was fourth quickest in the final day's action in the afternoon session. "I really feel confident about myself and also the team which is working together with me and behind me," Zhou told Motorsport.com. "The three days Abu Dhabi F2 testing looked very positive, the speed was very strong. The team is pleased about our performance, so we are really looking forward to the season ahead. "I am really happy to be in the team, the guys have a lot believe in me, I trust and believe them as well. "I definitely want to score podiums, hopefully starting from the beginning of the season, of course to score some victories will be nice in the rookie year. "We all know it will be a tough year with everything new, the new track, the new F2 car, it won't be easy, but we will try our best and try to achieve the target as soon as possible." 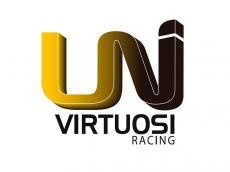 UNI-Virtuosi Racing team boss Andy Roche added: "We're very happy to welcome Guan Yu to our team and we are looking forward to working with him. He is a very talented driver and rapidly got to grips with the F2 car. "The championship is extremely tough and we feel Guan Yu has the talent to progress quickly and have a very strong competitive year with us." Zhou is the sixth driver to be confirmed in F2 for next season, with many of the seats believed to be already filled.